As Leesburg’s oldest and most established plumbing company, Dunstan & Son has provided exceptional-quality professional plumbing services to Lake and Sumter counties for nearly 90 years. 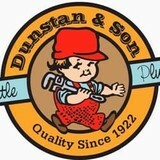 Dunstan & Son thrived as a family-owned and -operated business, and when John Snyder took over the helm in 1999, he did so with a commitment to honor the company’s reputation for superior service and highly skilled, trustworthy plumbers and staff. While a lot of companies continue to downsize, our outstanding service record has allowed us to expand to 20 employees and 10 service trucks, enabling us to perform friendly, same-day-service. We offer 2-hour service windows so you’re not inconvenienced – and we don’t charge overtime for working late hours, so you’re never overcharged. Our precision, speed and dependability have earned Dunstan & Son a perfect record with the Better Business Bureau. More importantly, our work ethic has made lifelong friends of countless customers. When you're looking for a professional, call Dunstan & Son, where you will be greeted by a dedicated service representative ready to help you. Bill Shafer Plumbing, Inc., is a Florida, state-certified plumbing corporation and is fully insured and licensed (CFC 048294) to work in the Daytona Beach, Palm Coast, Deland and New Smyrna areas. We provide quality plumbing service and repairs to residential, commercial and industrial clients as well as mobile homes. In addition to repairs, we also offer plumbing installations for new construction and remodeling. 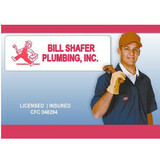 Bill Shafer Plumbing, Inc., has been in business since 1989. However, Bill has over 30 years of experience in the plumbing industry. Bill is a native to the Daytona area. He has lived and worked in the area his whole life. This family-run, locally owned and operated company is dedicated to providing high-quality plumbing services at competitive prices. Combining our vast Mechanical Contracting experience, with our skilled workforce of over 1000 people. We are known for providing unparalleled service, quality and reliability to our customers. In business for 29 years in Brevard County! We Know What We're Doing! From clearing clogged drains, fixing leaks, our highly trained professional technicians can handle all your plumbing needs. We install, service, and repair all plumbing fixtures, water heaters, including tankless water heaters, water softeners, sewer replacements, hidden slab leak repair. Our expert plumbers can help with the installation, repair, and maintenance of your water heaters, toilets, bathtubs, septic tanks, and much much more. Whenever you are in a jam, call Meeks Plumbing to schedule service. Our licensed plumbers will rush out 24/7 to help fix a small problem before it becomes serious. We provide commercial service as well as residential service. Our plumbers have seen all sizes of problems ranging from the smallest water heaters to the biggest septic tanks. Remember if it leaks, call Meeks! 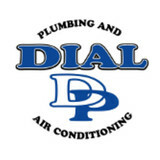 We at Jim Carroll Plumbing are a family owned and operated local Brevard County Business. 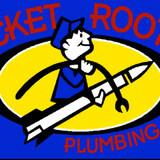 We are a father and son team that have over 20 years experience in working with customers for all their plumbing needs. 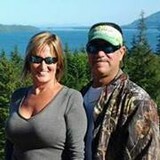 Family owned plumbing Contractor Commercial and Residential , New Construction , Remodels and Repairs . You Matter!